Join our Spanish Language Course in Costa Rica, and start learning basic Spanish, or improve what you already know. You’ll learn through classes with a professional language teacher. Outside of class, you’ll be able to practice new words and phrases with local native speakers, as well as your host family. 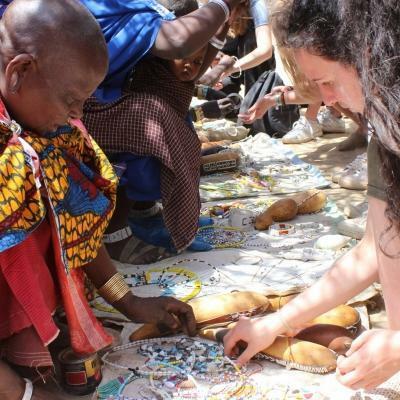 You’ll learn about the local culture and traditions as you immerse yourself in the community. 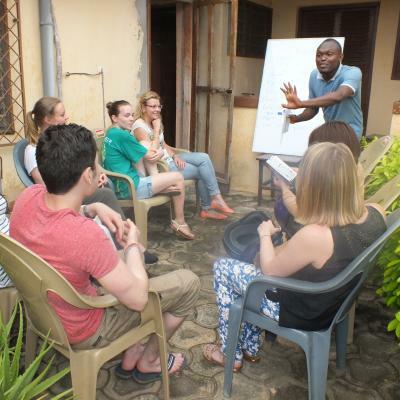 You can study Spanish full-time, or combine your studies with one of our volunteer or internship programmes. Combining it with a project is a great option if it has a Spanish language requirement. At a Teaching or Childcare placement, you can put your newly acquired language skills to use in a practical working environment. You’ll be based in the city of Heredia, which offers up a unique Latin American experience. Renowned for being in the middle of coffee growing territory, it’s the perfect place enjoy a cup of Costa Rican coffee as you embrace the Pura Vida. Is learning Spanish in Costa Rica right for me? If you’re eager to travel and learn Spanish at the same time, this language course is ideal for you. 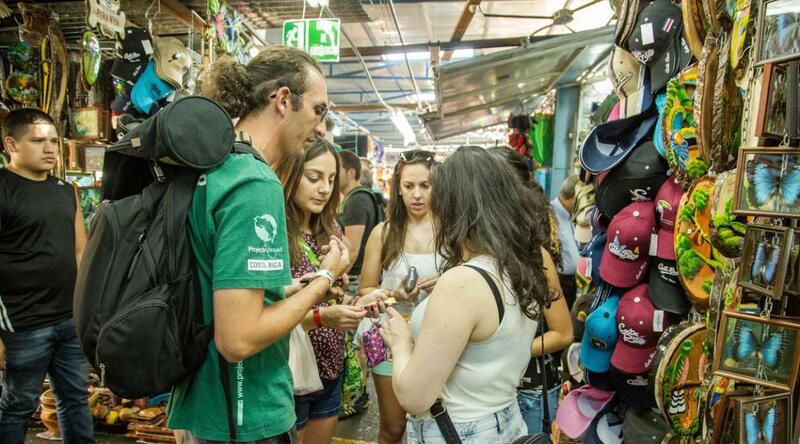 You’ll get to practice your Spanish while exploring the city and interacting with native speakers. Whether you’re looking to improve your Spanish or you’re a complete beginner, this project will be tailored to your level. You don’t need to worry about having to keep up with a class. You can study full-time before starting a project, or study part-time while you volunteer or intern, so you can learn while volunteering. This is a flexible project that is available all year round, from a minimum of one week. However, we recommend staying longer to hone your skills as much as possible. 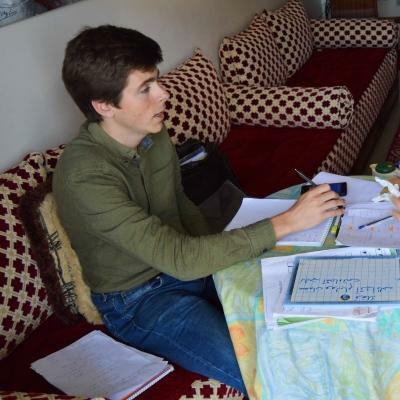 Your Spanish classes will be personalised according to your knowledge and skill level. If you’re a beginner, you’ll be taught basic grammar and vocabulary. If you’re an intermediate level, you’ll have more control over what you and your teacher focus on. If you choose to do this as a standalone course, you’ll attend 15 hours of classes per week. If you choose to combine this course with one of our other projects, you’ll be able to choose between a 5, 14, or 30 hour course. The best thing about learning Spanish in Costa Rica is that you’re able to practice what you learn in your lessons while you’re out and about. Improve your conversation and pronunciation by placing a food order at a restaurant or shopping at a local market. We offer many different projects that are based in Costa Rica. Support early childhood development at understaffed childcare centres or gain practical work experience teaching at with . Take a look at the projects we offer to see if you’d like to combine any of them with your language course. Alternatively, you can also do a standalone course in Spanish before moving on to contribute to one of our other projects. Where will I be learning in Costa Rica? The vibrant city of Heredia is situated in the heart of Costa Rica’s coffee-growing country. Due to its large student population and close proximity to San Jose, Heredia has an active social scene with plenty to offer. Its central location also means that Heredia is perfectly placed for exploring the rest of Costa Rica. You can easily reach the impressive Poas and Irazu volcanoes on a day-trip from Heredia. 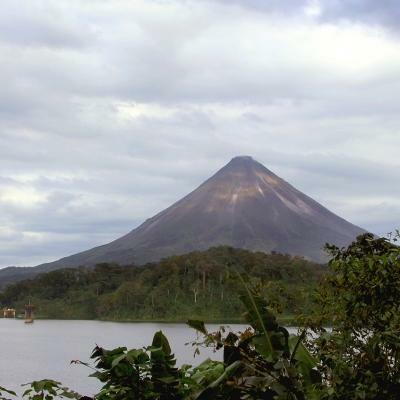 Elsewhere, numerous popular tourist destinations, such as Arenal volcano and Monteverde cloud forest, are only a few hours bus ride away. You're also never too far from the coast in Costa Rica. Spoilt for choice by the number of idyllic beaches, you'll have plenty of opportunities for water-based activities like surfing, swimming, snorkelling or scuba diving in your time off. The laid-back life of Costa Rica is infectious and you will find it hard to leave. 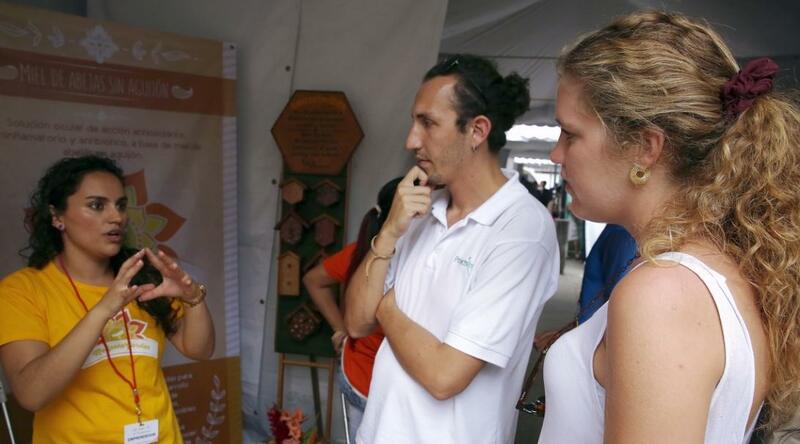 What is a typical day learning Spanish in Costa Rica like? Most days will begin with breakfast at your host home. This is a great opportunity for you to practice your Spanish and get to know your host family at the same time. All classes run from Monday to Friday. 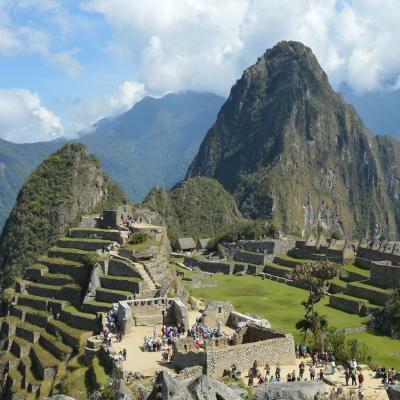 You’ll have evenings and weekends to explore with other Projects Abroad volunteers and interns. The structure of your day will depend on whether you choose to do a standalone Spanish Language Course, or combine your studies with a project through our add-on options. If you study full-time, you’ll have around 15 hours of classes per week. You can choose to have your classes in the mornings or afternoons. If you’re combining your language studies with a project, your mornings will be committed to project work, whereas your classes will left for the afternoons and evenings. What are the aims and impact of this course? This project aims to help you improve your Spanish language skills through personalised lessons and immersive learning. It is also a brilliant opportunity for cultural exchange. Through immersing yourself in the language and interacting with your host family as well as locals, you’ll learn about the culture and way of life. You’ll leave with an understanding of traditions and practices different to those of your home country. If you choose to combine your language course with one of our other projects, you will also become part of our ongoing efforts to support local communities. For example, if you work on a Childcare Project, you will help children with early childhood development, and teach English. Or you can help primary school children improve their language skills by teaching English. This project will leave you with an increased knowledge of Spanish and a marked improvement in both your grammar and conversational skills. 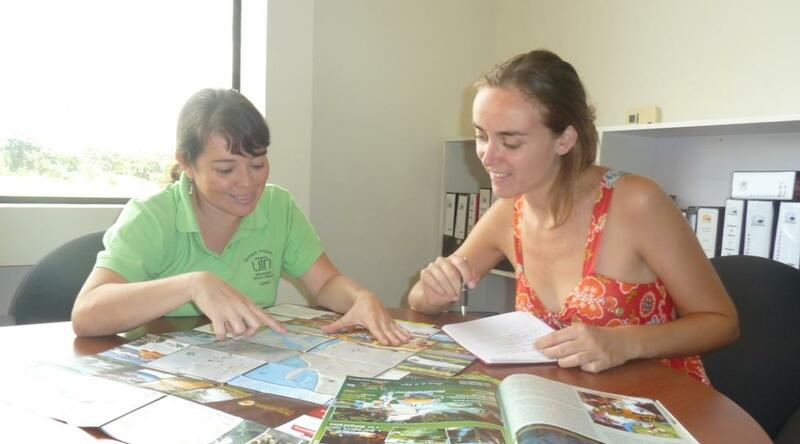 Join us, study Spanish in Costa Rica, and improve your language skills in this beautiful country.